Hi guys, it's freaking Friday! I'm really looking forward to the weekend, especially tonight because I'm going to the movies with the hub. Yup, we're going to watch the new scary movie Ouija. Before I get into today's polishes I wanted to take a minute to really thank you guys for all the amazing feedback on my last mani. I thrive on hearing from you guys and it honestly makes me so incredibly happy, so again thank you. Alright, enough of this mushy stuff and let's get onto the beauties that I have to share. 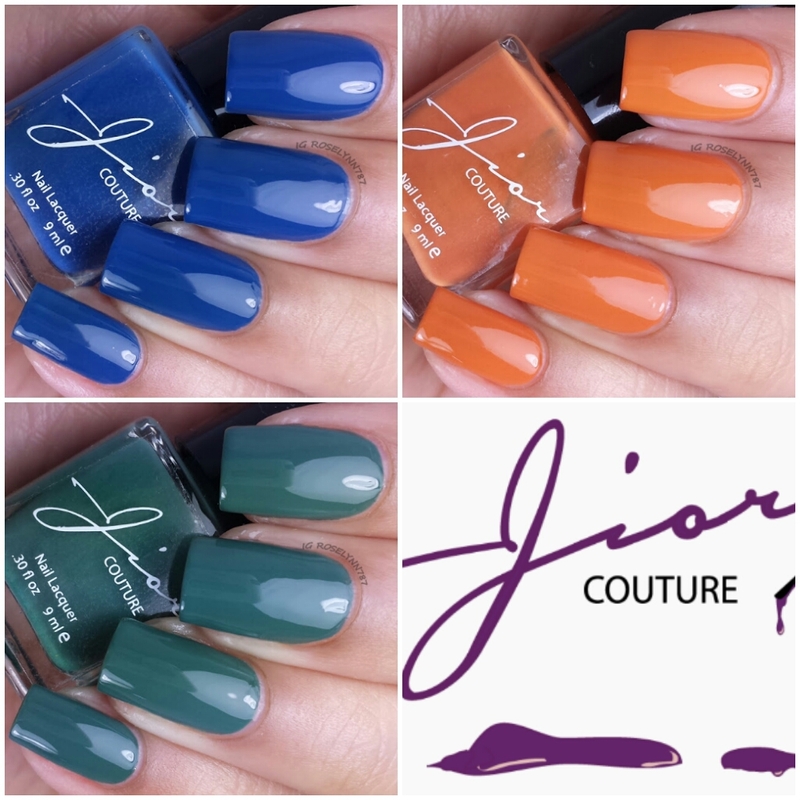 Today I'll be showing you guys three out of the six polishes that make up the Fall collection by Jior Couture. The entire Fall collection by Jior Couture will be releasing on Monday Oct 27th. The extra surprise with this collection is that each of the polishes will also have a holo counterpart. In this post, however, I'll only be showing you guys three of the creme finishes. Let's get started! I Can Azure You It's Fall! 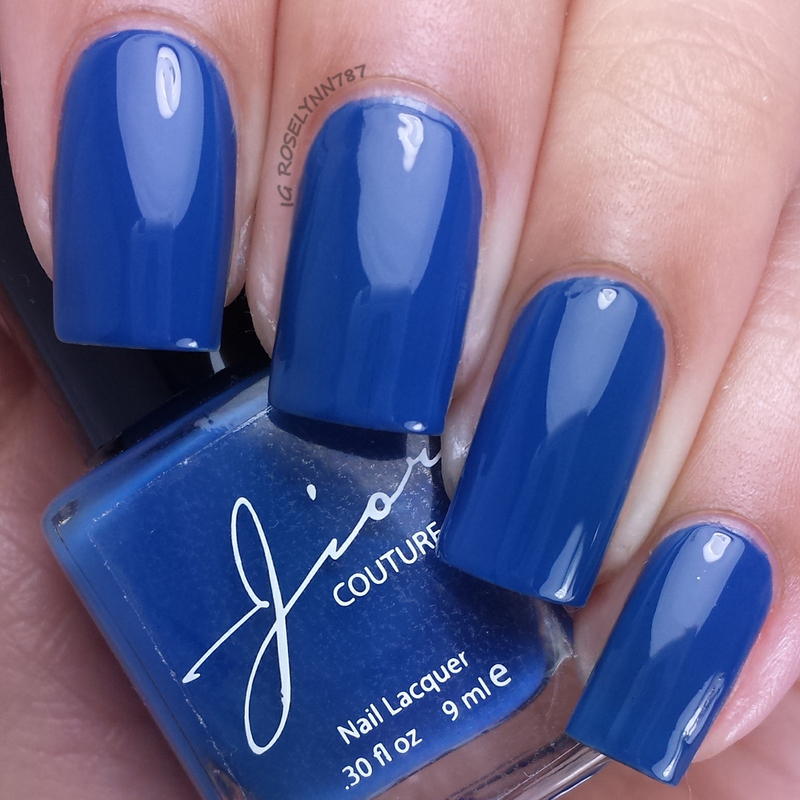 is a vibrant blue creme. It's really funny because it's moments like this that I realize how I don't have a lot basic creme colors. I'm completely in love with this particular blue, especially because it didn't stain my nails or cuticles. 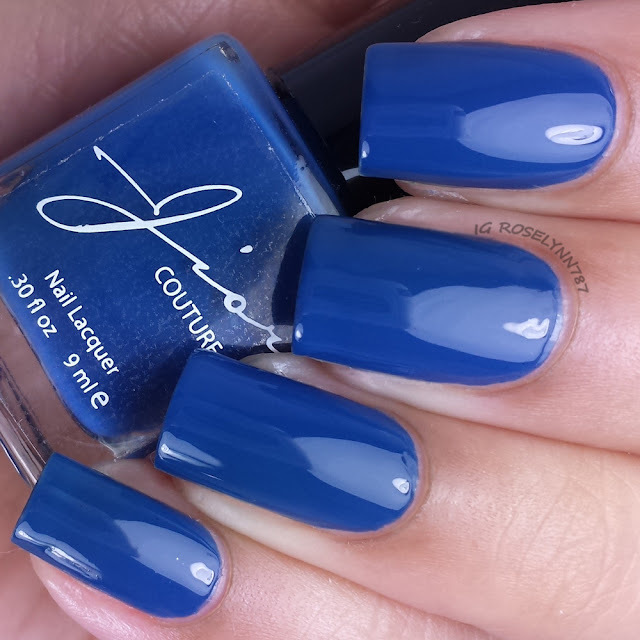 That's always a major plus when dealing with blue polishes from personal experience. Fantastic formula and consistency, not too thin nor too thick. I wasn't expecting how opaque and creamy this would be in a single layer. A very nice surprise. 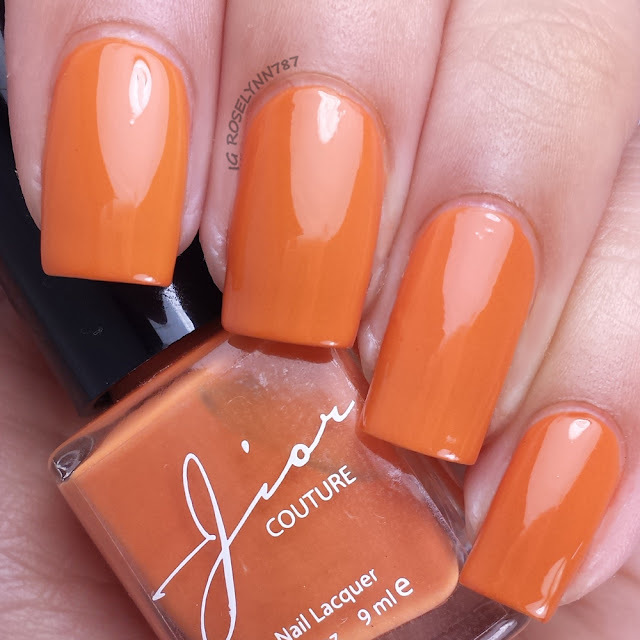 I swatched this polish over a clear base, used two thin coats, and sealed with a topcoat. 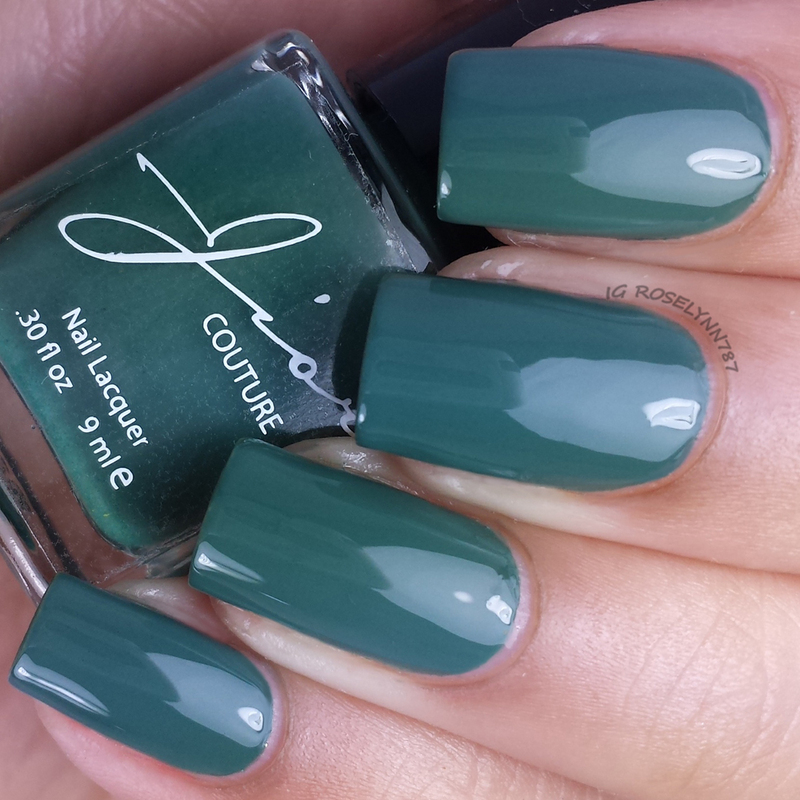 Forest Allure is a pale forest green creme polish. 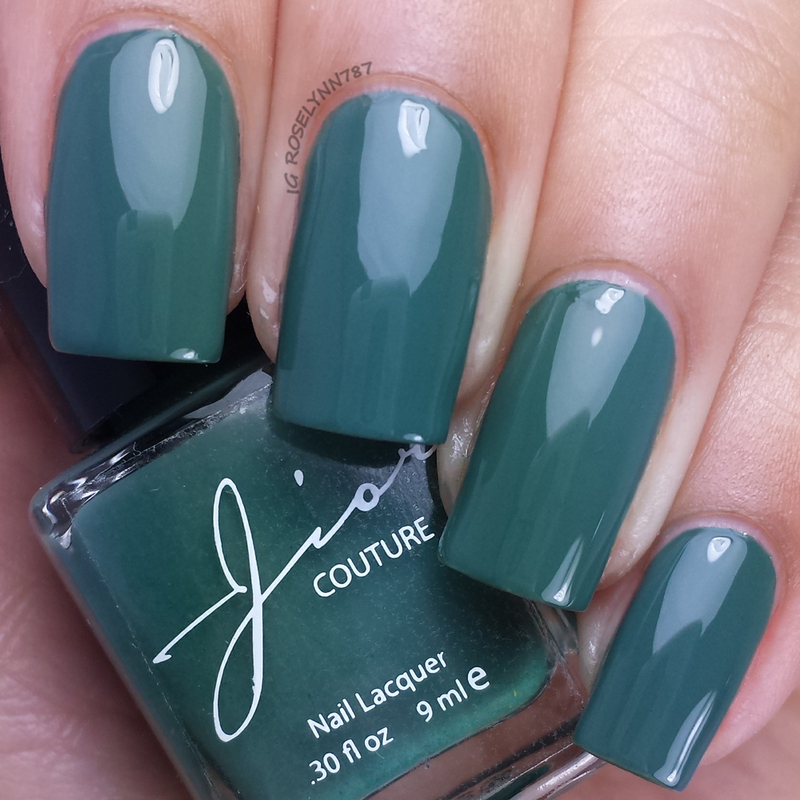 Again, the small basic color aspect of my collection is nonexistent so this shade is a nice addition. Very camo-like. Another thing I noticed is how well the three colors in this review coincide really well for nail art and stuff. Great application, it gave me no issues when applying. I'd also like to note there was no staining either with this rich shade. Swatched over a clear base, used two thin coats, and sealed with a topcoat. Up and Autumn is a rich orange creme. Doesn't this remind you of pumpkins? As you guys probably know, I don't usually care for the color orange. This particular color though looks surprisingly well against my skin-tone. That being said... this is actually my single must-have from the three being shown here today. 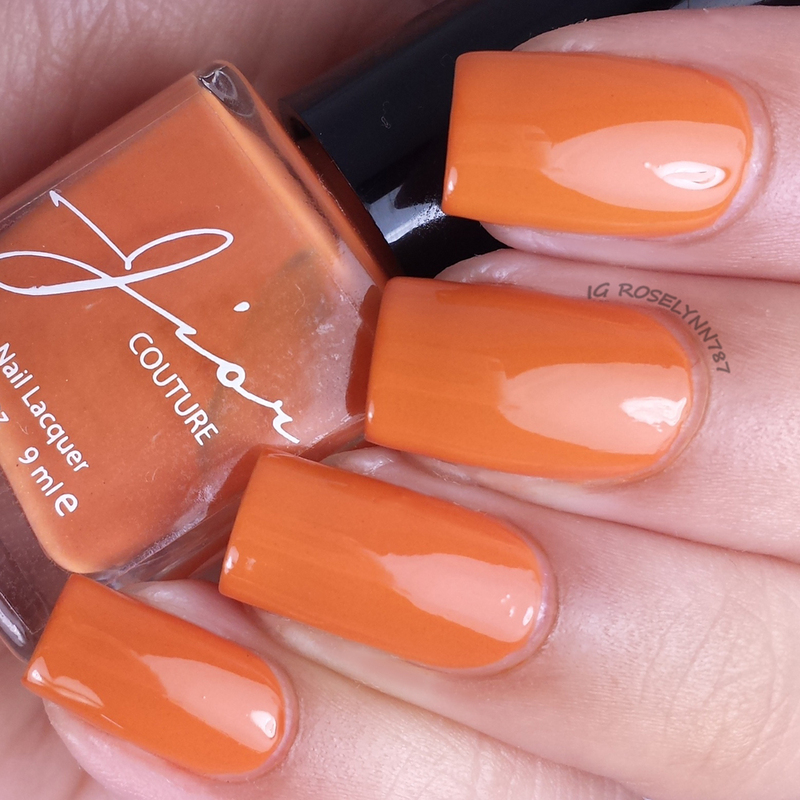 The color is perfect for the Fall and I have a feeling I'll be getting a lot of use out of it during the month of November. The formula and consistency are the same as the others mentioned above and gave me no issues when applying. Swatched over a clear base, used two thin coats, and sealed with a topcoat. Overall I'm really thrilled and excited with these creme shades from the Fall collection by Jior Couture. Not only for just the Fall but for all the reasons. If the formula is done right, cremes can be used for so many nail art techniques such as watermarbling and stamping. I actually tested these out with watermarbling and they worked perfectly... boy do I wish I had a photo to share. Unfortunately the klutz in me didn't let me show you guys, I totally smudged it against the table before I could snap photos. Not to worry, I'll definitely will be redoing this during the month of November because it really did come out snazzy. So back to these beauties... the formula is smooth and consistent throughout these three. They could almost be one-coaters, but I preferred the second to add a more finish look. I have to say I'm curious to how these will look in their holo variations that will also be released on Monday Oct 27th. Don't miss on their release and make sure to follow Jior Couture below. Hi! 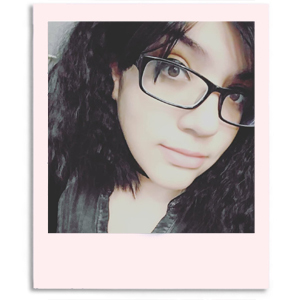 I found you from Brightside's Beauty Blog Hop! Your nail art is really impressive! How do you get your cuticles and the polish around your cuticles to look so neat and clean? I try to be neat, but even if I tidy it up, it's not immaculate. Hi, thank you for stopping by. The Brightside's Beauty Blog Hop has always been one of my favorites and definitely missed. I use a clean up brush with non-acetone and also cuticle oil. Before clean up it's anything but neat haha.